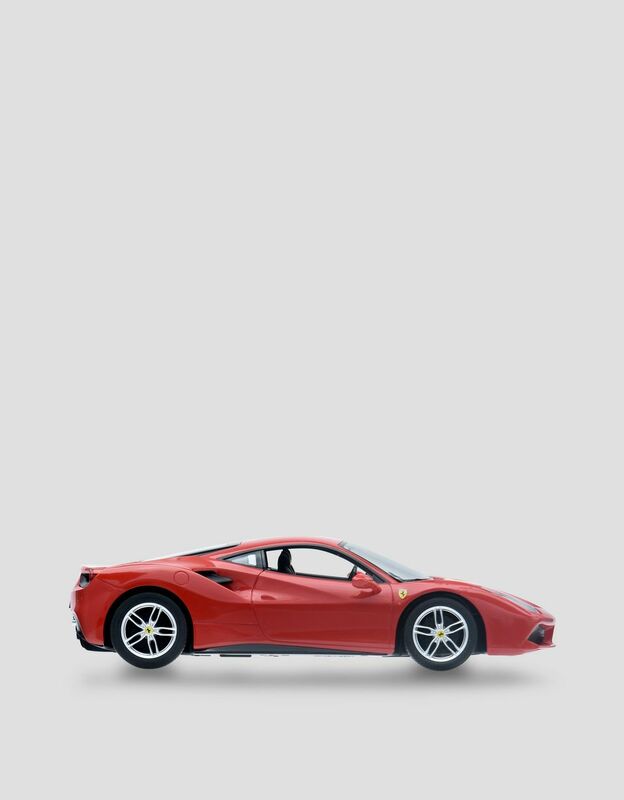 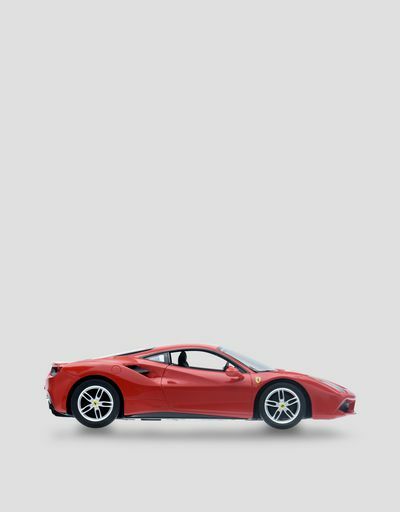 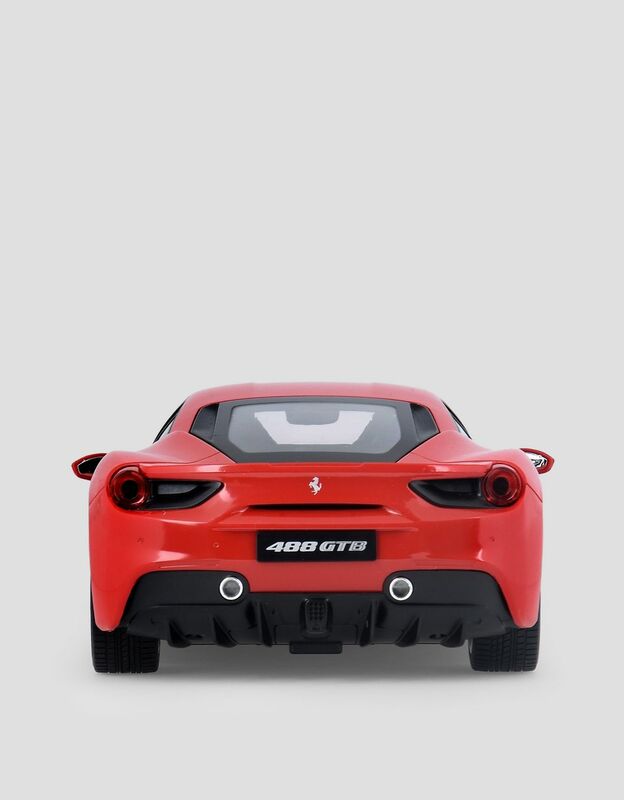 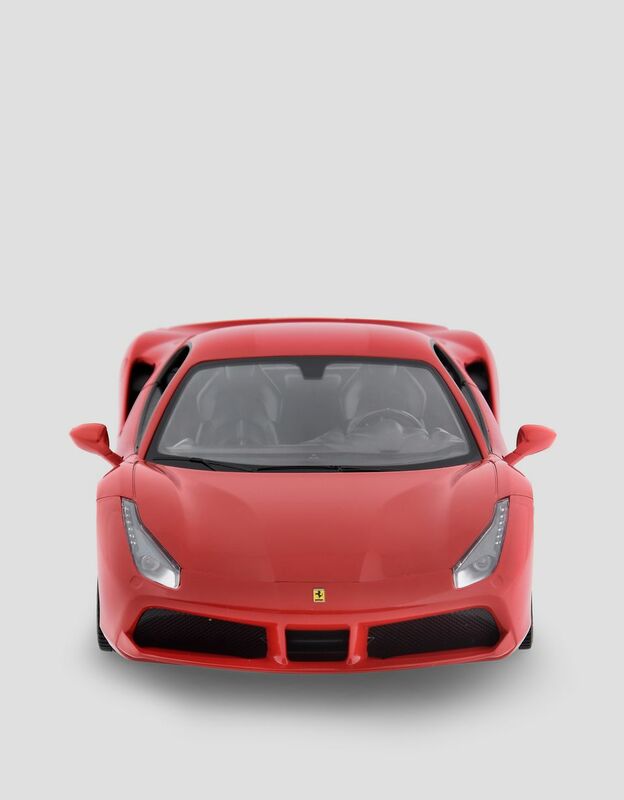 The 1:14 scale replica of the Ferrari 488 GTB with remote control provides six driving directions and a speed of up to 9 km/h. 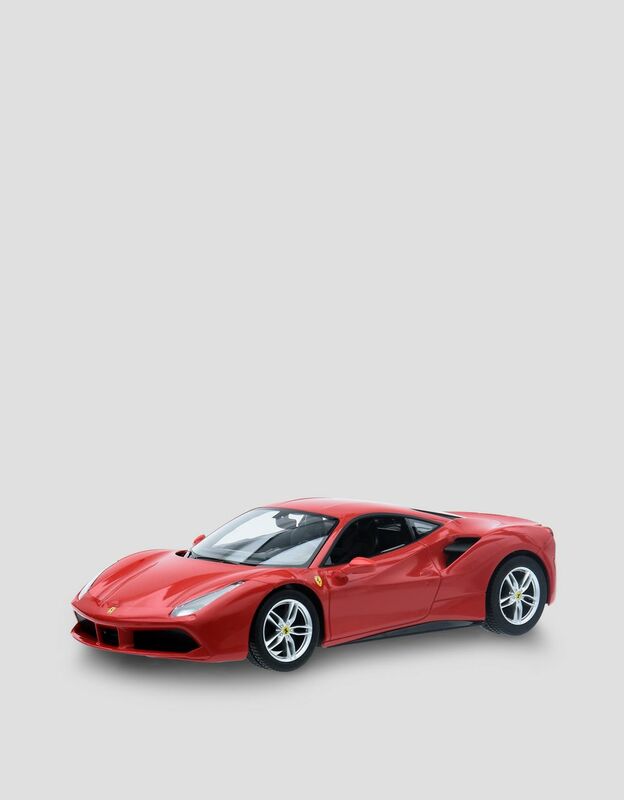 The car that marked a new chapter in the history of Maranello 8-cylinder manufacturing is meticulously replicated in this expertly designed miniature. 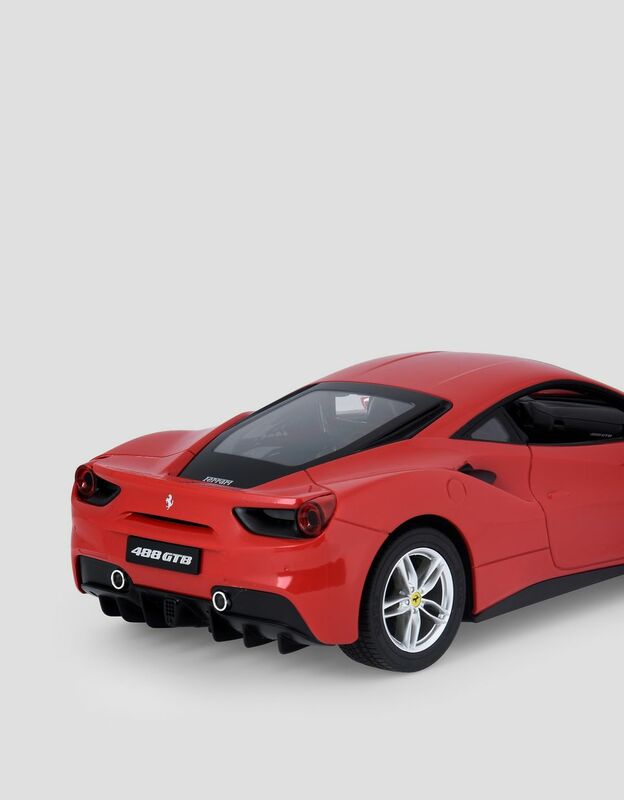 This model with full function remote control offers six driving directions and can reach speeds of up to 9 km/h. 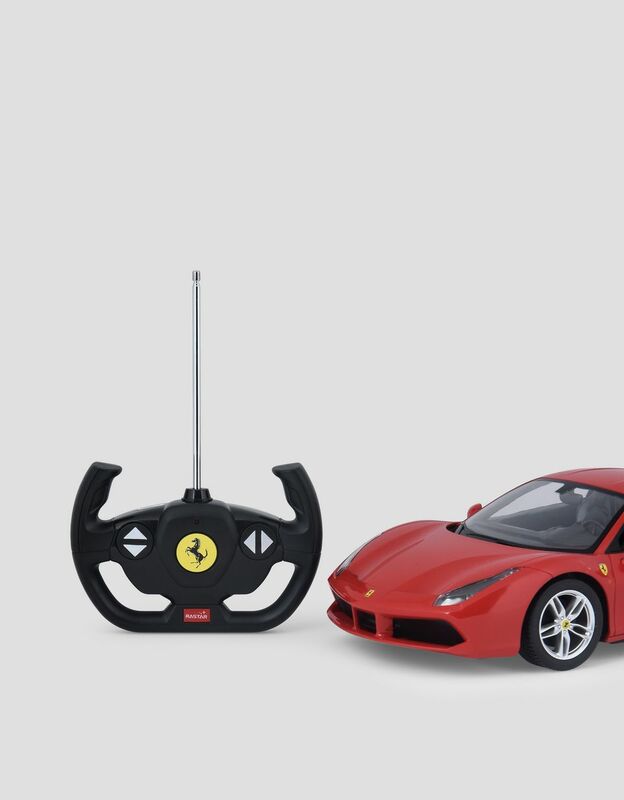 The model car requires five batteries and the remote control uses two AA batteries.